Denise has announced the release of Noize, an adaptive noise generator plugin developed in collaboration with Jamie Boyle. The plugin is the result of the plugin design contest held earlier this year. 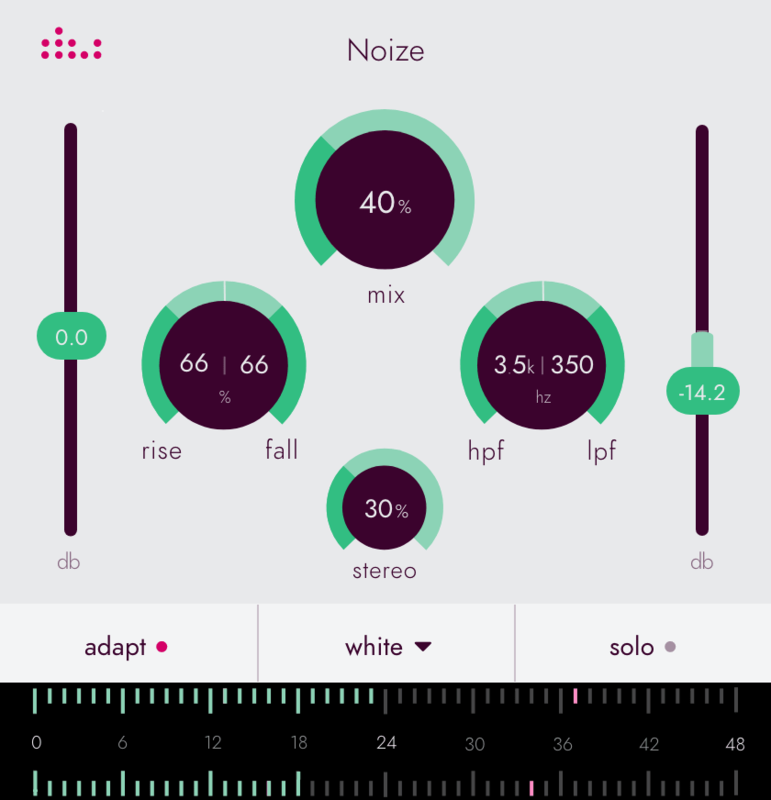 The winner, Jamie Boyle (JNB), submitted his idea of the ‘Noize’ plugin. He wanted to see an adaptive control on a noise generator which followed the shape of an input source. Inspired by Ableton’s Erosion plugin, Jamie wanted to add various types of noise like white, pink and brown noise to his basslines and drums, quickly, and without the need to add additional envelopes and routing to make it fit the shape of his sounds. denise took his concept and the challenge to create the best adaptive, noise-generating plugin possible. We also visited the winner in Stockholm to discuss his music and plugin idea. Ability to solo the noise signal in order to apply additional effects like a bit crusher and flanger. Full control of the noise envelope by tweaking the rise and fall time. Five noise types: White, Brown, Violet, Pink and Blue. Noize is now available in VST/VST3/AU formats, priced at 19 EUR.